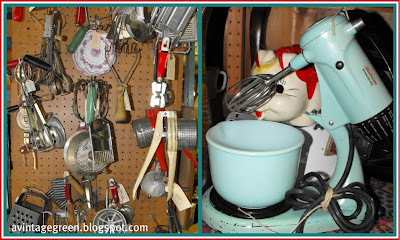 I was taking photos of vintage throughout the mall today. 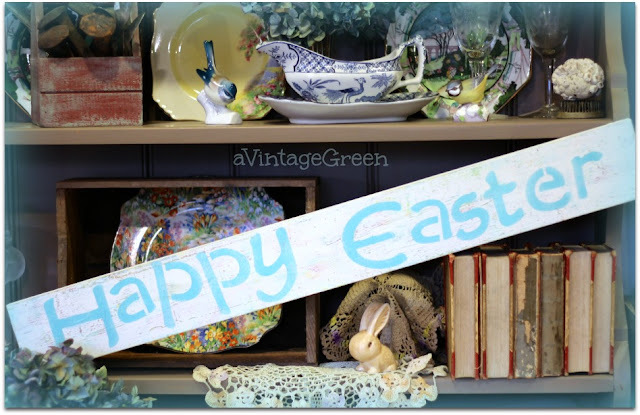 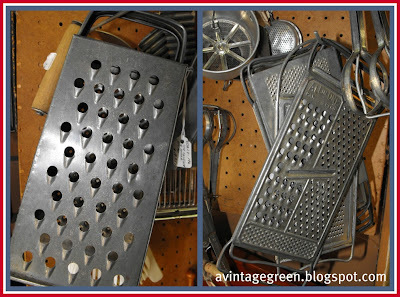 Those are posted in the Village Antiques Mall web page. That lead to vintage stuff in my own booths. I didn't remember to include the coffee pots and mugs until I arrived home. 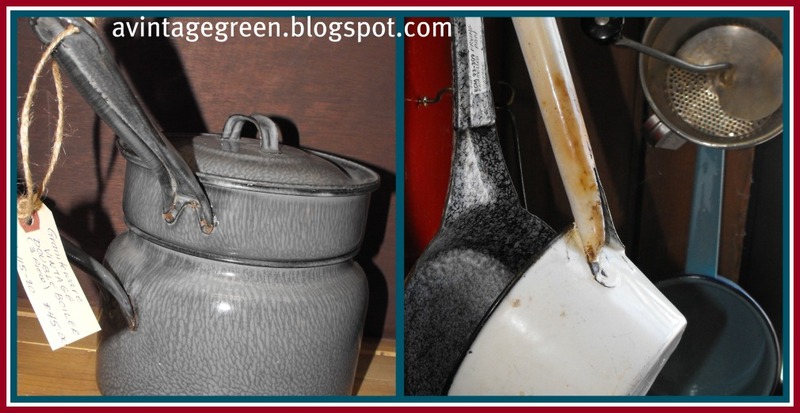 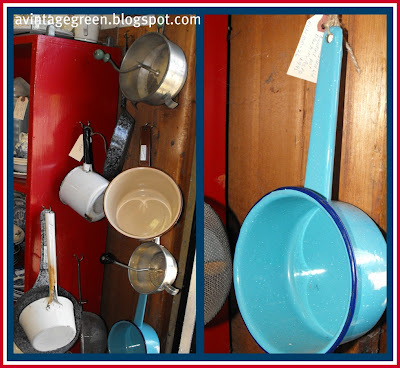 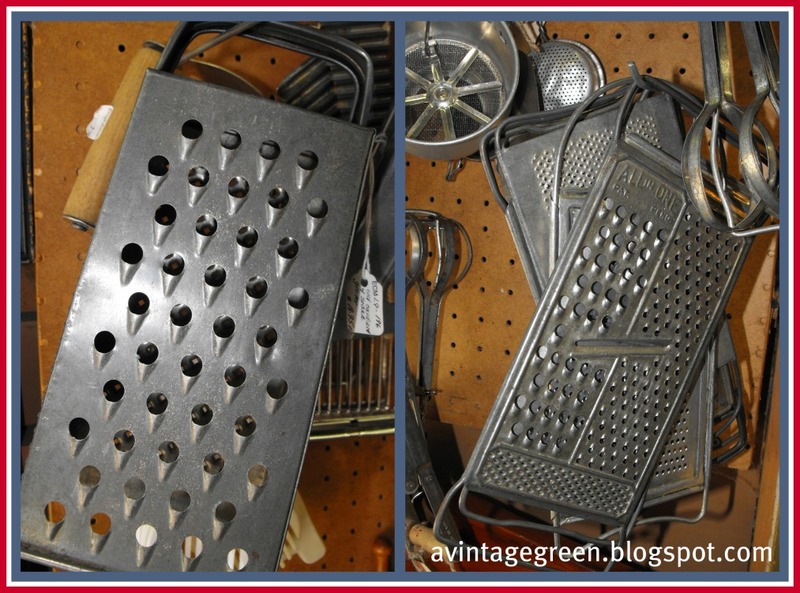 Vintage kitchen pots, pans, juicers, graters.